When I was 13 I was taken from my school, my friends and my parents and hospitalized. For one weekend a month I was allowed visitors and one weekend a month after it happened I was greeted by half of my class; many of whom I had only known from friends of friends. 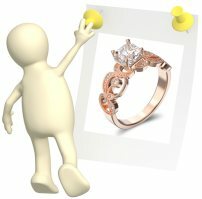 One girl, a very pretty popular girl who was friendly to me, but I wasn't included in her circle, gave me a ring and said she wanted me to have it to remind me to be happy.... I can vaguely remember back then being beautiful and seeming to change colors, from green to purple to blue....and staring at it when I was alone... She came to see me a few more times, wrote to me...eventually I couldn't have visitors except my family. Then eventually all my jewelry was taken and given back to my family. When I was finally able to come home I was 16. Everything was different, and the girl who gave me the ring was part of memories I wanted to forget. And she had also moved or something because I never saw her again- and truly I still can't remember her name. I am 40 now. A lot of things have happened since then, but somehow that ring has stayed with me. I've never worn it regularly since then, never thought about it particularly... But the other day it fell out of a box I'd had it in and it looked so pretty I started thinking about it more and I've really been trying to figure out what it is. I've been looking online for months. I thought this a good place to share. 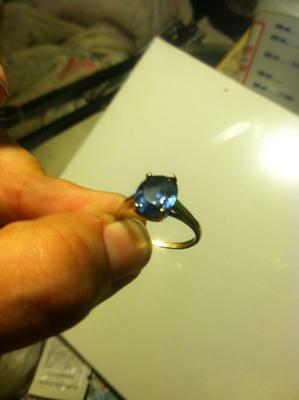 Since I am not concerned about the money value, I only want to know what it is and it has a very deep sentimental value- I am very very reluctant to trust any appraiser or someone w it, just in case it IS an alexandrite stone. I have been telling myself it can't possibly be- but everything fits. I only want to know what kind of stone it is, given to me by a kind heart, that has stayed with me through these long years. Here is two pictures. One under candle light no flash. And the same with the flash (I thought that would simulate incandescent light? 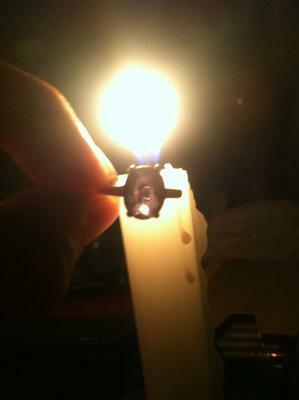 Since it is dark...but it's the same color as it is in sunlight) The setting has an open back and I know nothing about facets or carats. But the band is gold and has a 10k stamp with two other markings preceding and following it. Thank-you so much for sharing this beautiful story and your poignant memories regarding your ring. 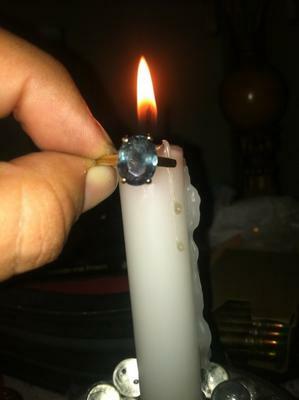 Unfortunately to discover whether or not this is a true alexandrite you will need to have the ring assessed by an expert. Because synthetic alexandrite has been around for so long it is possible that this is a synthetic stone or even a color change chrysoberyl gemstone. 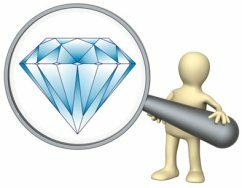 I suspect from the size of this stone, the metal of the ring (10K) and because it was given to you by a younger person that it is either synthetic or a chrysoberyl. 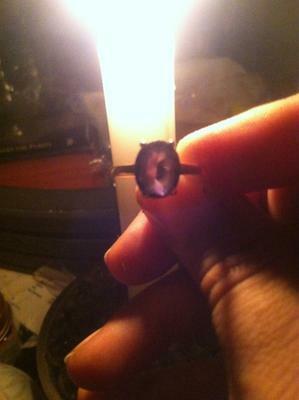 Because true alexandrite is rare and extremely valuable, it is unlikely that this is a true alexandrite stone. (True alexandrite rings are usually crafted with higher valued metals like platinum or 18K gold). However, I believe the memories that you have of this ring (and it is a beautiful gemstone ring!) have their own intrinsic value as you stated that are much more precious than the actual monetary worth of this ring. Again thank-you so much for sharing!